It's a new term back at The Bullingdon in Oxford. Yes. Word is, the venue is reverting back to its former name from the Art Bar. Don't ask! 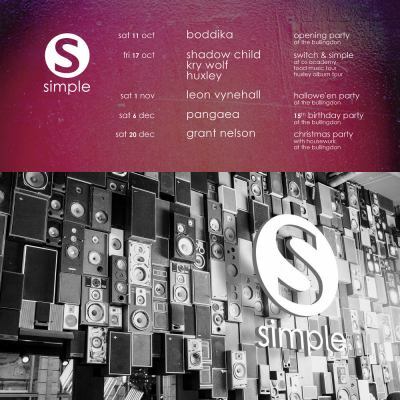 So to kick off the season Simple brought out the big guns in the form of Boddika and I was lucky enough to warm up for him just before he hit the decks. This is what I picked and played, complete with crowd ambience. Enjoy. Share this on: Twitter, Facebook or Google+.